A friend and I underwent training a week ago to learn what one does when finding an injured raptor in Tasmania. There are 13 species of raptors in Tasmania and all of them very beautiful. Craig with Montgomery the Owl. He was born there (not planned) so he cannot survive in the wild. He helps with training people. Montgomery- Take a bow. No, he isn’t trained to do tricks. He just needed a stretch. A bit of ‘rock’ art. The Peregrine Falcon is brought out in preparation for his release. It is as though he turned to say goodbye. There was a bond between these two. He realises what is about to happen. He prepares himself to leave. Leaning forward he is ready.. He circles around and then heads for the bush towards the sea. A beautiful sight. It was all over in the flick of an eye. This past week has flown by with the social events of the holidays. We didn’t do much on the actual day of Christmas and New Year’s Eve but the leading up time and the ‘after time’ continues. It is summer which also adds social events to the calendar. It feels good to have a new year upon us. A blank slate, so to speak. I finished the book The Good People by Hannah Kent from audible.com. I will put up a review of it but not before our book group meets on the last Wed night of February. It is our monthly pick. It is very hard to not talk about it though. I have started our March book from audible- Songs of a War Boy by Deng Thiak Adut. This book grabs you by the throat and really takes hold. It is also an audible book. I am not going to set specific goals or get too excited about challenges on my blog this year. Something else always gets in the way and they go by the wayside and that makes me look like a really unreliable blogger. Which I can be at times. I have decided to use my monthly audible.com credit for my book group books. I seem to be in the car a lot and it is so nice how my phone will connect with the bluetooth in my car and start playing the book as soon as I turn it on. I rescue wildlife for Bonorong Wildlife Sanctuary. The park itself is about 45 minutes from my home and they always need animals transported either to the sanctuary or from it to vet appointments or wildlife carer’s. I used to not volunteer as much because the ride got so boring. I have solved the problem of reading book group books I don’t always want to read along with the boring route to the park every week or every day if you volunteered enough. Bonorong gets a phone call from a person who has found injured wildlife on the road or in their yard or tangled in fishline in the water. A text message goes out to all volunteers and whoever is free texts back and says, “Ring me.” You know what suburb the animal is in but not a specific address. You then get a call with the details. Once the job is finished you text the words back to them, “All sorted.” I have volunteered for several years now. This past year volunteers rescued more than 8000 (yes, 8000) animals. I had the care of a blue tongue lizard the other night. A friend of mine who is a veterinarian was heading off with five children in the car and a ll their bikes on the back on the way for some family riding. She found the lizard on the side of the road and rang me to keep it overnight. It was very cold so I warmed it up, kept it safe overnight. The next day I took it out to Bonorong for some R & R ,treatment and heat. I listened to the Songs of a War boy there and back. 90 minutes of reading this book. I think my book count will go up significantly for 2017 if I keep doing Bonorong work. 1 Listen to my book group books on audible. 2 Read the books on my shelves that are now unpacked from boxes and drawers and have been shelved on the old empty Penguin shelves. 3 Keep reading some children’s books from 1001 Books Every Child Should Read. Only because they are interesting stories. They keep me in the loop about what young people read who are not like me, middle class, middle aged retired folk. 4 Shop for new books (to me) in the library catalogue instead of bringing home a bunch more books to put on my over burdened shelves. I enjoy reading all the reviews on blogs and going straight to the library’s web site to see if they are there and put them on my wish list. I will read library books because I feel it is important to support libraries. We do have a wonderful service here and I would hate to see it end. 5 I want to make sure I comment on the blogs I read regularly to further establish those friendships. This might mean cutting back on blogs that don’t interest me. I like to explore new ones but don’t often find a lot I want to follow for a long time. So many blogs that focus on fantasy, mystery only, romance or historical fiction. 6 Write more on my blog. Keep the variety of the blog growing and do not get stale. My reviews are not nearly as extensive as some but I want to keep the enthusiasm going for the books I do read. 7. 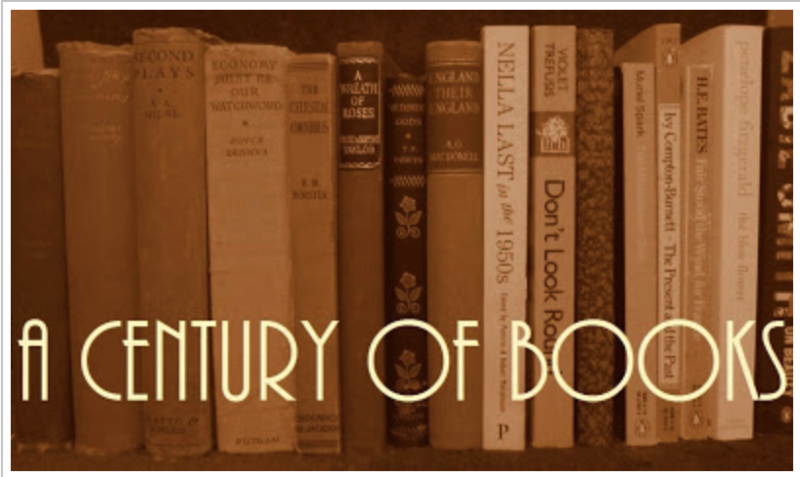 Update Books of the Century years and read more books on that list. Last week I had to transfer a baby Eastern Rosella to a carer and four days later I had to transfer an adult Eastern Rosella to the same carer. It was found impaled on a cactus needle in someone’s yard. 8. Keep better stats so I can actually do an end of year analysis and report. That sums it up. I just plan to relax with it all and have heaps of fun with like minded, intelligent bloggers. I guess that is the week that was. Mostly mental with some Christmas and New Year’s cheer thrown in.